Tall and beautiful, Bea Lumacang, 23, turns a head or two as she enters the bank. She gives each customer a big morning smile as she answers their queries or assists them with their financial transactions. But Bea’s life wasn’t easy when she was a student. Unknown to many, Bea took up a janitorial job in an elementary school when she was in high school. 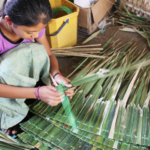 “I had to help my parents earn money because we didn’t have enough money to support our daily needs,” she explained. When Bea was in elementary, her mother, Clemen, 56, was a utility staff in the same school she was enrolled in. 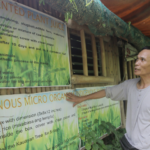 Clemen was paid Php500 ($11) per room cleaned. Later on, in Grade 6, Bea joined her mother in cleaning rooms. 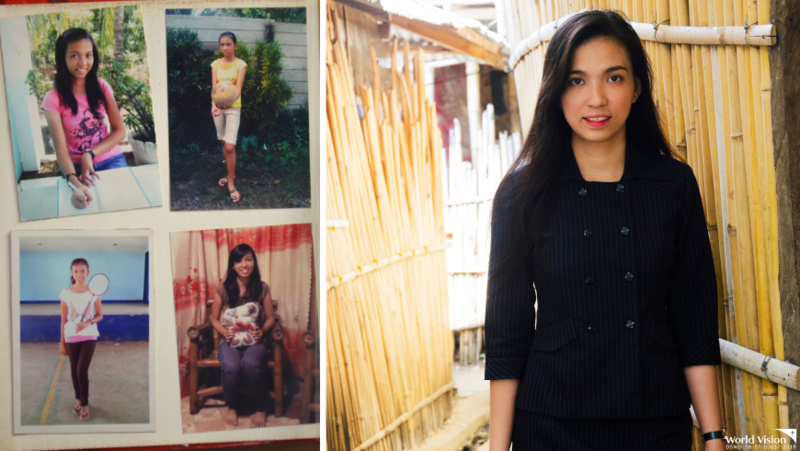 But it was in high school that she received Php1,000 ($22) for two elementary classrooms that she cleaned. She did this for nearly three years mainly to support her education. She cleaned rooms in the morning, from 6 until 8, and then in the afternoon, from 4 until 7. “Sometimes I get tired. I have to work early and come home late,” she said, recalling her student years. Though Bea felt nothing wrong with her part-time job, her younger sister felt otherwise. “There were times she was teased that we are janitors. She was angry and humiliated. One time my mother came to her school and talked to the children who were teasing her. We also talked and explained things to my sister. It took sometime before she finally fully accepted what we did,” Bea shared. 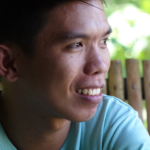 Bea’s father, Clatio, has been an electrical maintenance earning around Php300 ($7) day. The meager salary was not enough to support the education of three children, house bills, and food needs of the family. The situation in the family impelled the eldest son, Victor, to stop school and work instead. Aside from cleaning rooms, Bea also secretly sell rice cakes. “It was just for a few pennies. I just need additional allowance. I hid the stuff in my bag,” she shared, giggling. 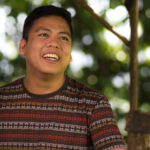 Around the time when Bea’s family was struggling to make both ends meet, World Vision was helping the family through provision of Bea’s school needs from Grade 3 until she was in high school. 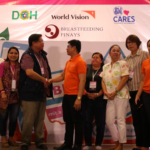 World Vision staff is there by our side,” Bea recalled. Bea also joined several World Vision activities for children such as values formation trainings and youth camps. Learning that education is important, Bea developed eagerness to finish college. After high school, she took the scholarship opportunity that the city government of Puerto Princesa in Palawan, west of Manila, was offering. She was accepted and got a free tuition fee. In college, Bea continued selling merchandize, such as clothes and shoes, for the company Boardwalk. Bea graduated BSBA Management Accounting. Her mother Clemen and father Clatio are very proud of her. She is their first college in the family. “I believe that education is not just a parent’s responsibility. Children, too, must be responsible to be serious with their studies and graduate,” Bea advised.